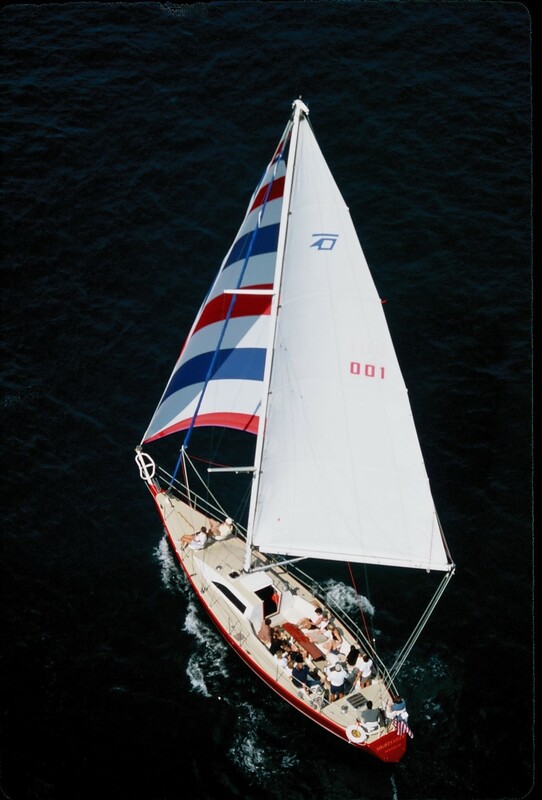 Sightsailer sails with a maximum of 13 guests and offers a fast, fun and comfortable sailing experience. 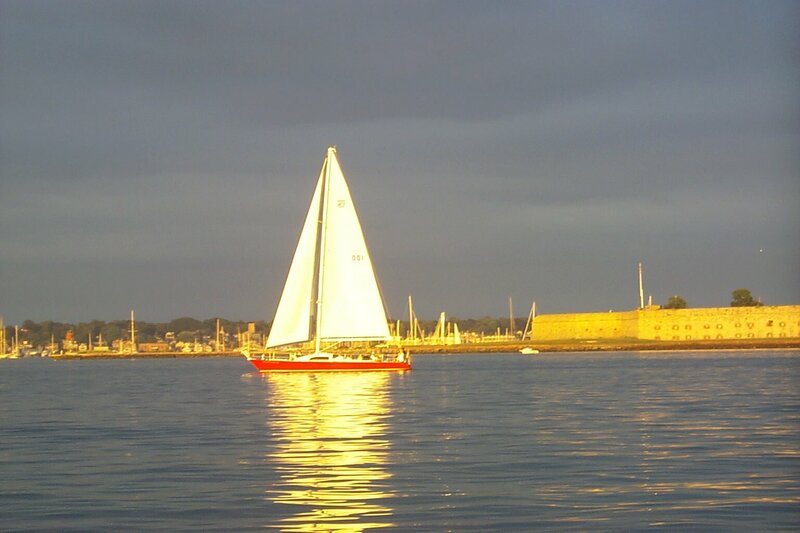 If you’re looking for spirited, lively sail and like the idea of a smaller number of guests, come sailing on Sightsailer! 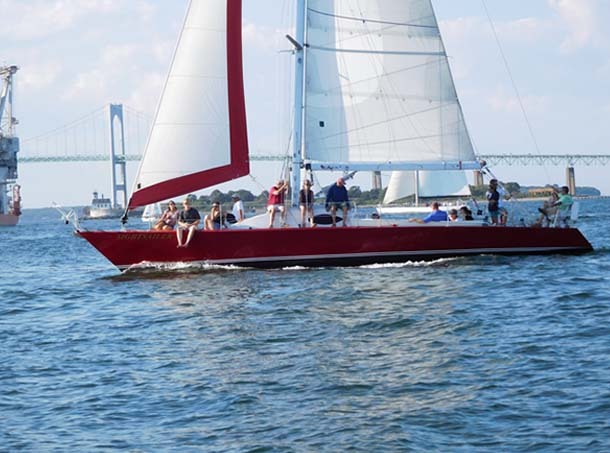 She is a great boat for a Newport harbor cruise and sail in Narragansett Bay! 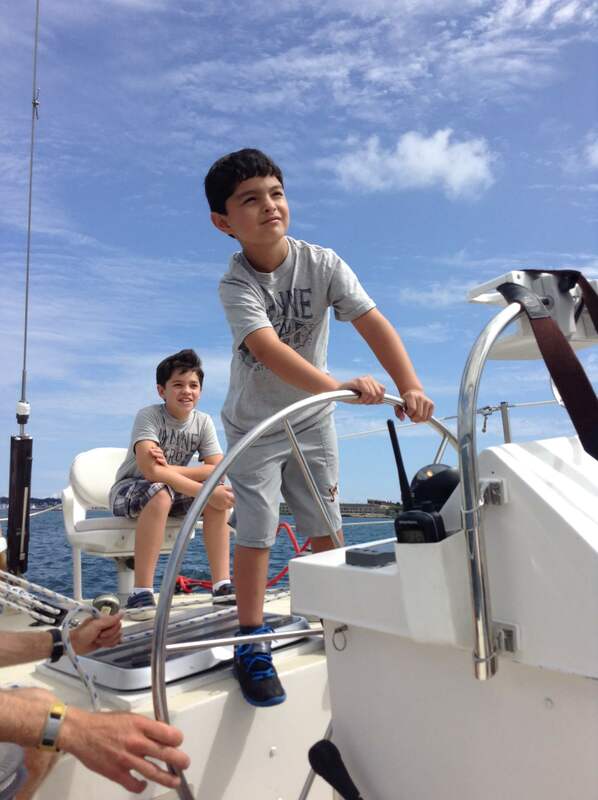 Guests may take the helm and sail or sit back and relax! 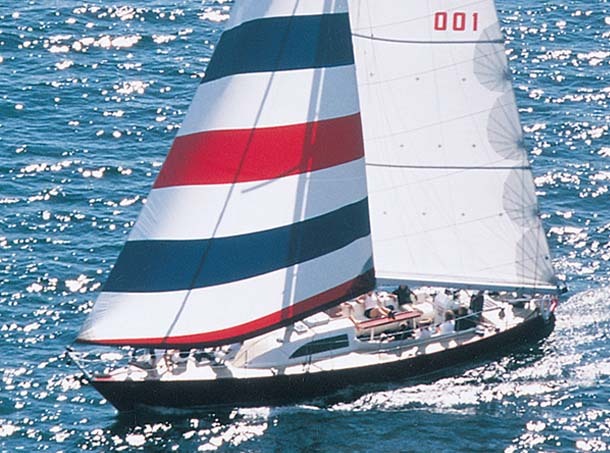 Sightsailer is 46 feet, light, with a large sail plan and cushioned cockpit. 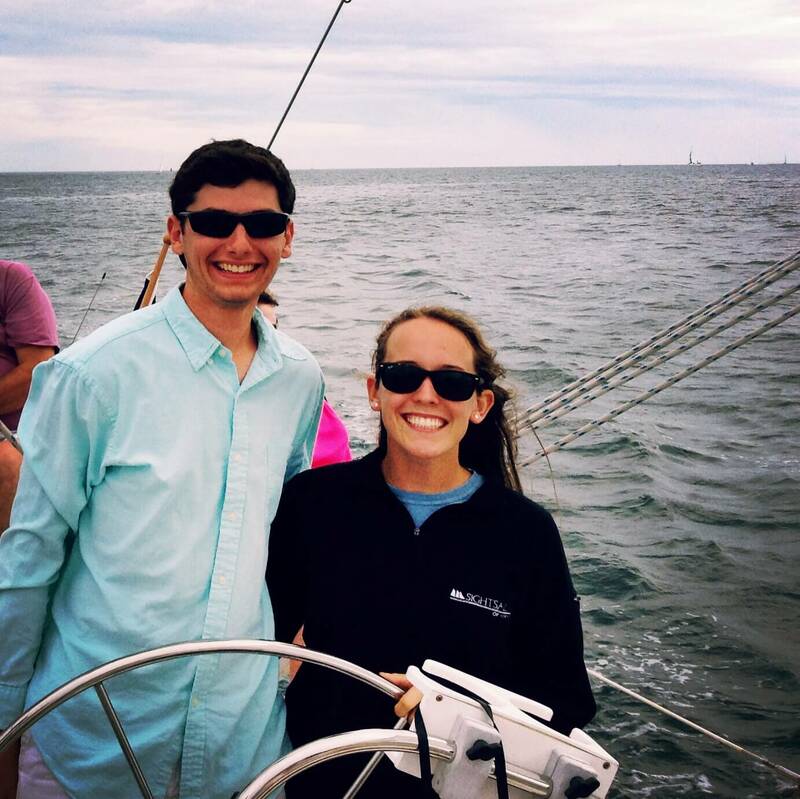 Compared to Aquidneck, Sightsailer is lower to the water, which means you get more of an adventurous, race-boat sailing experience. 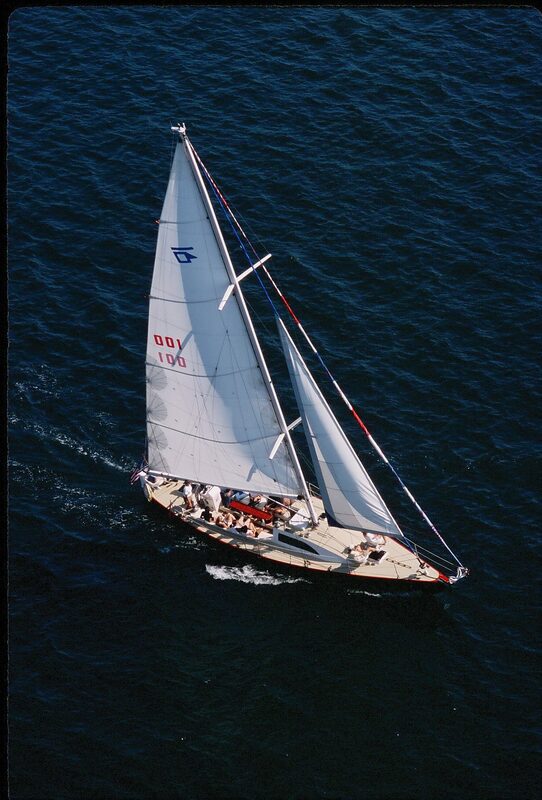 When it’s windy, Sightsailer will heel (lean) over more than Aquidneck which many find quite exciting! Guests who will enjoy their sail the most are those who are able-bodied and able to get up and move around, especially on breezy days. 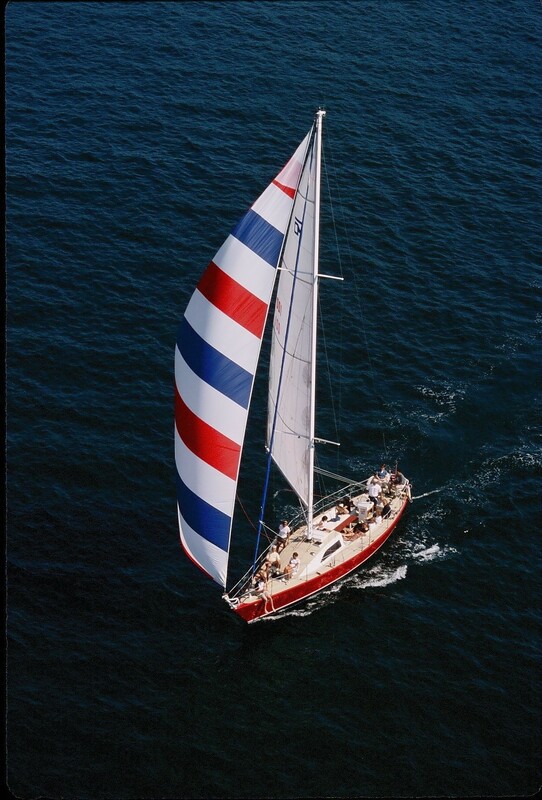 Non-sailors should not be alarmed: the sail is always very smooth. If Aquidneck is a Cadillac, Sightsailer is a two seat convertible sports car. Both are fun, yet in different ways. Sightsailer has a fully cushioned cockpit complete with back and footrests and two swiveling stern seats to take in the action. When the wind is light to moderate in strength, guests may also sit up on deck. 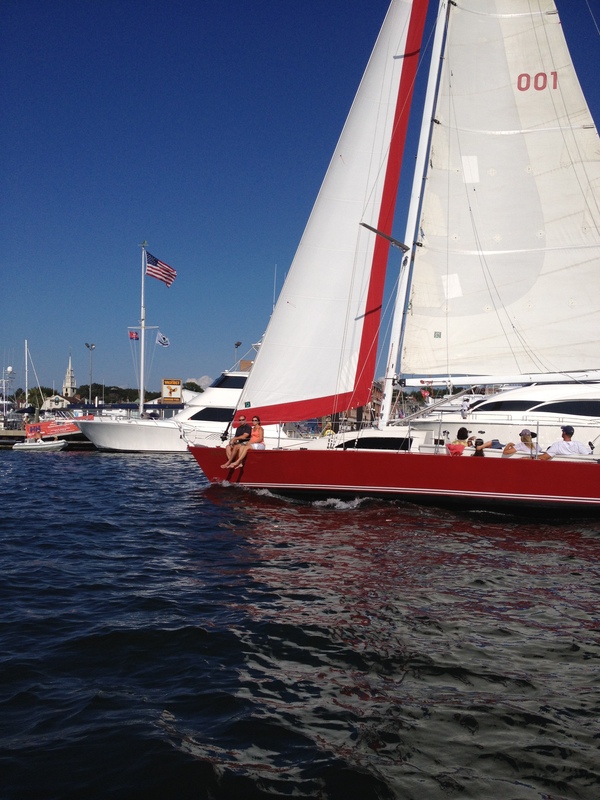 Sail through Newport Harbor and Narragansett Bay past all the famous sights. 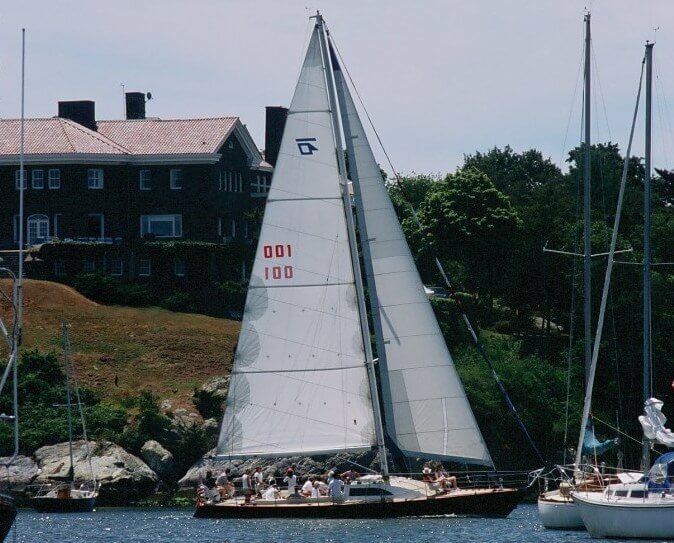 Our captains and crew know the history of the harbor and bay and will point out the highlights. No sailing experience is required. Sails are 1.5 hours. 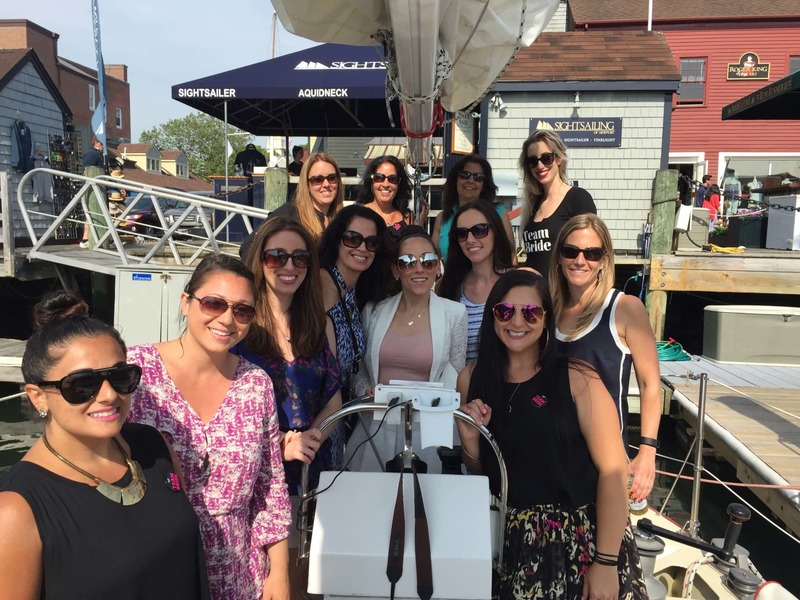 Join us for a morning, afternoon or sunset sail! 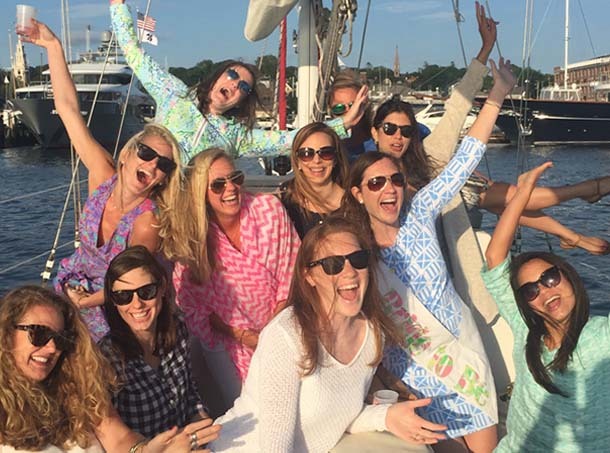 Offering both public sails and private sailing charters, Sightsailer is our most popular boat for private bachelorette parties, charters with larger groups of friends, families and small corporate outings. For private charters, Sightsailer has a small, narrow cockpit table for light food, an Igloo cooler for drinks and a stereo with iPod interface. Blankets are available for cooler weather as well as rain jackets in the the event of a passing shower. 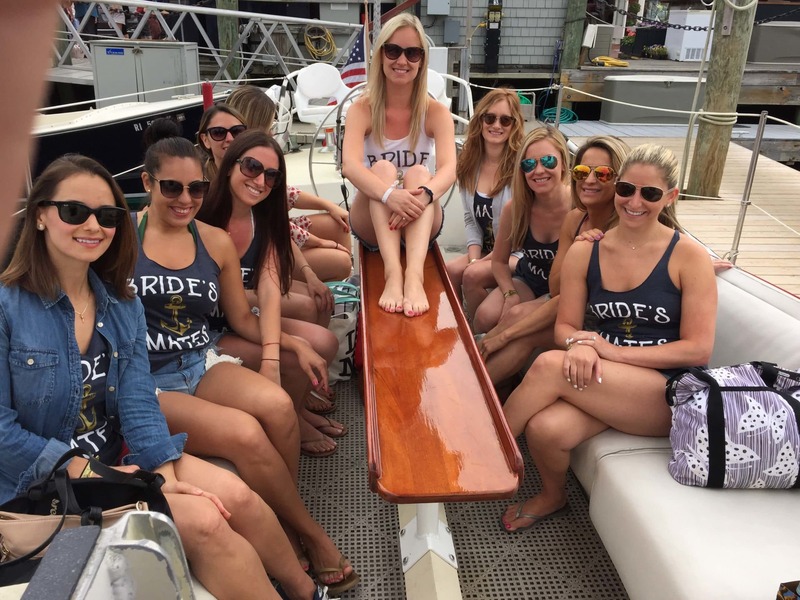 For private charters, visit our FAQ page for food and drink suggestions. 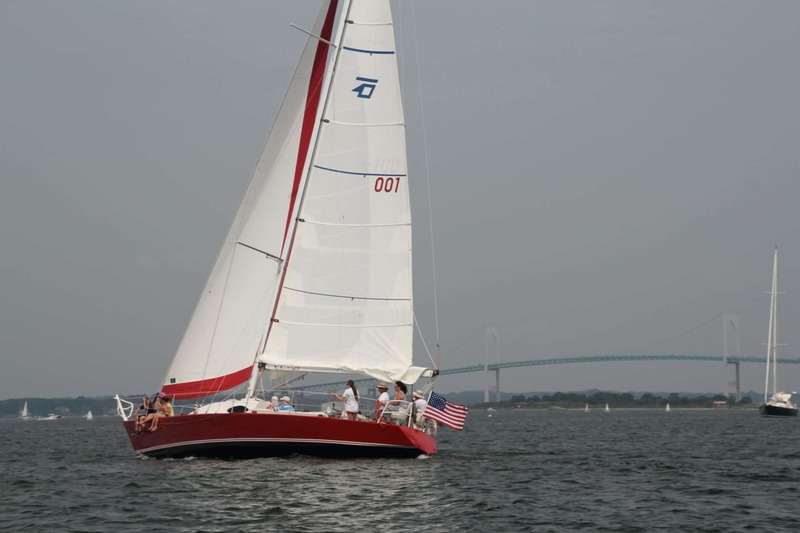 to experience this Newport treasure."